It flies through the air suspended on a cable, and for much of the time it’s pretty empty. 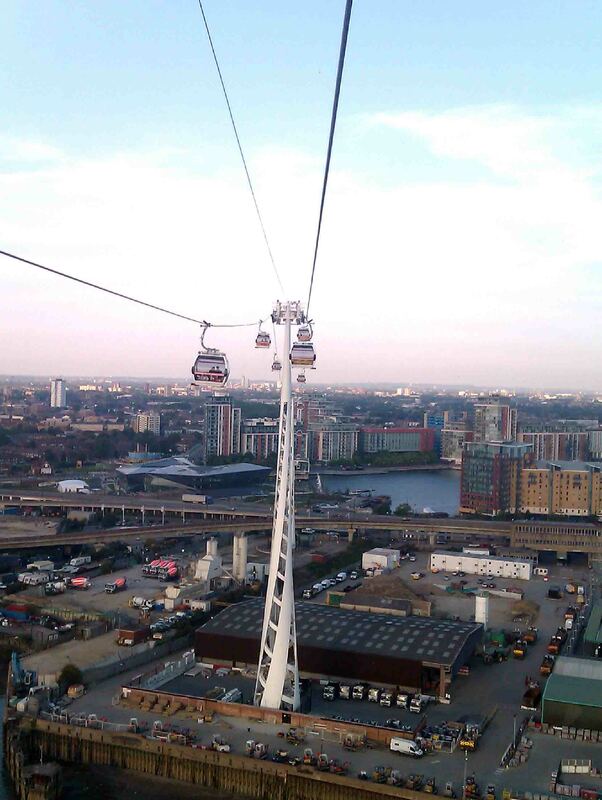 It’s tempting to see the Emirates Air Line – London’s Olympic gondola – as a neat metaphor for Boris Johnson’s populist but somewhat content-free mayoralty. Linking the Royal Victoria Dock on the north side of the Thames with the North Greenwich peninsula to the south, it caters to that tightly-targeted section of the travelling public who wish to take in an exhibition at the ExCel centre and a concert at the O2 on the same day. With an initial cost overrun of several million pounds and with load factors running at 10% of capacity since the Olympics ended it has, not surprisingly, had something of a bumpy ride from the media. Some have dubbed it a white elephant, and on a quiet weekday when it seems as though you have the ride to yourself, it’s hard to argue with that assessment. Nevertheless, I think it’s wonderful. Not as a practical addition to the British capital’s public transport network perhaps – it’s just too marginal for that – but as an exciting attraction for visitors or leisure-minded Londoners alike. Viewed as such it’s not especially expensive, with an adult single costing just £3.20 with an Oyster Card. You can even take your bike on board; the attendant simply flips up the seat on one side of the car and secures the bike with a long, seatbelt-like strap. Built in less than a year at a cost of £60 million and opened in time for the 2012 Olympics, the Air Line was designed by Wilkinson Eyre, the architects responsible for Gateshead’s celebrated Millennium Bridge. 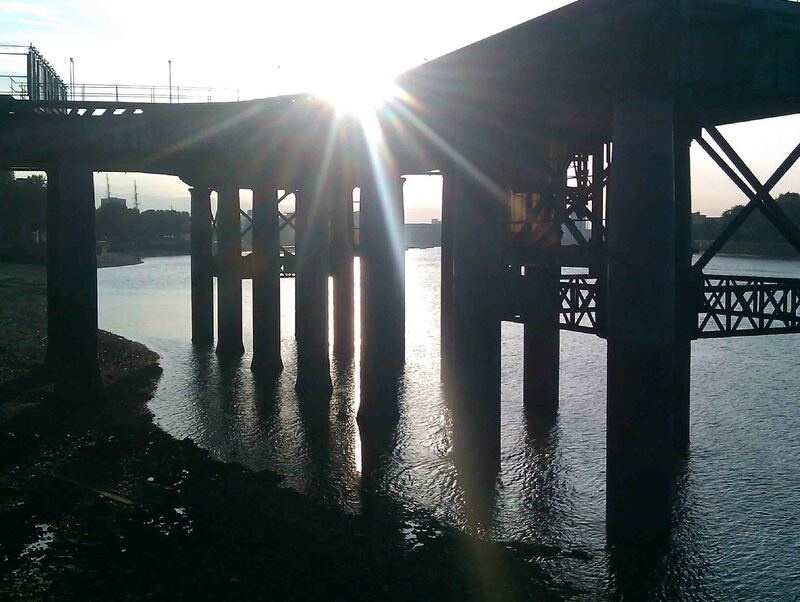 Perhaps that explains the aesthetic ambition of the project: the stations are sleek and modern while the pylons that raise the cable high above the river are as slim and elegant as they are functional. As for the gondolas, they’re just like the ones you might use to ascend to the slopes at any number of European ski resorts. Sheer height is the biggest surprise of the ride. 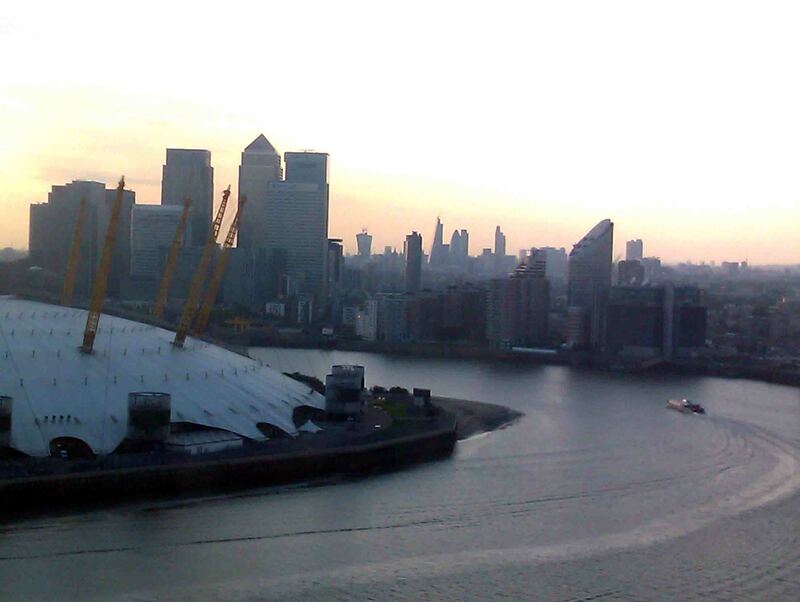 The ascent from north or south is steep and rapid and you soon find yourself suspended 90m or 300ft above the river – high enough to give breathtaking views over the O2, the Canary Wharf Skyline and the City to the west. It’s also high enough to trigger uneasy thoughts of precisely how the Emirates Air Line might interact with the more conventional airliners taking off or landing at London City Airport a short distance to the east. What’s particularly striking is the extent to which the London you see from the gondola is the London that has arisen in the last 25 years. Canary Wharf’s skyscrapers, the 02, the lower towers that cluster around ExCel and the Greenwich peninsula are all relatively recent additions to the cityscape. So too is much of what you see beyond Canary Wharf, for of the City it’s the shiny, idiosyncratic new skyscrapers with their irreverent nicknames – the Gherkin, the Cheese Grater, the Walkie Talkie – that catch the eye, not relative minnows like St Paul’s or the Tower of London. This is the London of hedge funds and non-doms, of buy-to-let landlords and of killings made in the residential property market. More brash than the old London, it’s nonetheless impressive in its own way. 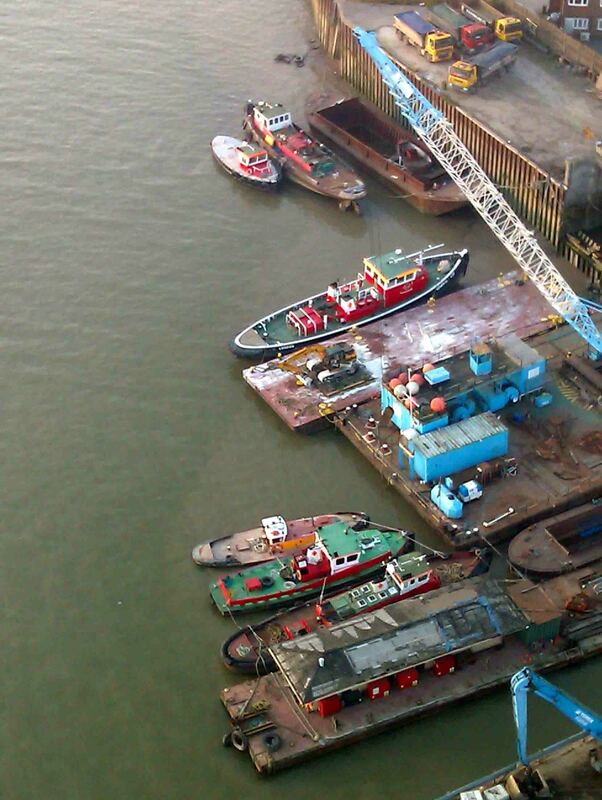 But look down and traces endure of an older, grubbier Thames; little boatyards, depots and sheds litter the north bank. It’s one of the curiosities of Docklands that new residents and investors seem not to notice these forlorn reminders of the old East London. Buoyed by the ever-rising value of their properties, their eyes are fixed firmly on the shining future. There may be muck here still, but there’s a good deal of brass, with the promise of more to come. All too soon the smartphones and SLRs have to stop; the gondola descends as abruptly as it rose and you’re down to earth, not with a bump precisely but perhaps – if you’re a London resident – with a slight sense of deflation. 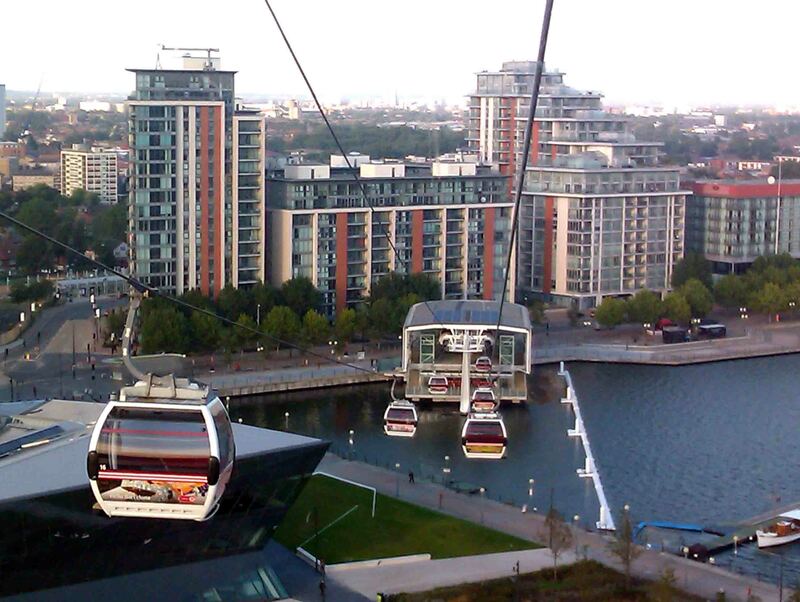 The wonderful views aside, the Emirates Air Line feels like a grand gesture in search of a purpose. It is nevertheless very useful for one thing: alight on the Greenwich side and you can pick up the course of the Thames Path, arcing around the North Greenwich peninsula towards the baroque glories of Greenwich. It’s one of the more starkly industrial sections of the path and rusting reminders of the Thames’ industrial past abound. But you’re likely to have it to yourself, and the sheer peace is a little intoxicating. With apologies for the quality of the smartphone pictures.